What an honor to have captured this beautiful family's union. Crystal & Kip first met while working in the same school, and after several years of dating, Kip proposed, and Crystal executed a very detailed wedding plan in a matter of months. 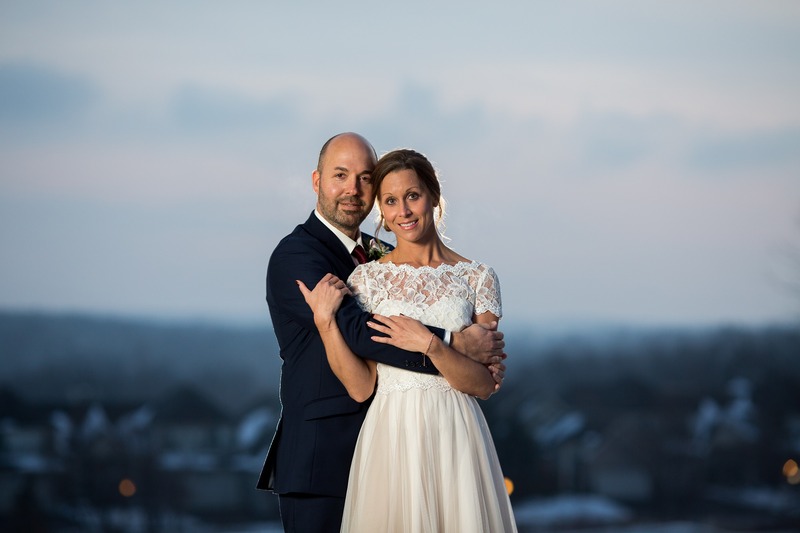 The girls had their hair and make up done at The Artistry, and the ceremony & reception took place at Geneva National, in Lake Geneva with Katy doing an incredible job keeping everyone on task and making sure the decorations were perfect. I loved the warmth of the venue and all the decor the couple chose. As guests entered, they were greeted with a sign letting them know they're in the right place, and as they continued forward, they could spend some time viewing all the family photos and personalized details of Crystal & Kip's love story. A slideshow of their life together played over a fireplace, and guests were encouraged to take photos of each other with a polaroid to contribute to their message to the couple in their custom guest book. So many tiny details that made this event incredibly special. The ceremony was performed by a friend and colleague of the couple, and included many humorous bits about Crystal & Kip's relationship. They wrote vows to their three children, and presented them each with a personalized necklace to signify this special moment in all of their lives. Crystal & Kip also wrote their own vows, which even made me a little misty eyed. They each found a soul mate in the other, and their raw honesty with each other in those vows was admirable. Donna's Designs created the beautiful bouquets, and a friend of the bride crafted the delicious desserts. The couple decided to go with food stations - a salad bar, mashed potato bar and mac and cheese bar....each of them suuuuper yummy. Katy & her crew turned the ceremony into a reception in a blink of an eye, and the main table was decorated in kid friendly activities to keep the youngest bridal party ever - fully entertained for the evening. After the festivities, guests found mini pies from Elsie Mae's waiting for them in the foyer to take home as a treat.